Ger Gilroy will rejoin Eoin Sheahan in the #OTBAM studio this morning, and he is bringing with him a definitive take from Sunday night's unspectacular Super Bowl showdown between the New England Patriots and the LA Rams. Did he enjoy what is generally being regarded as a dour, lifeless affair? Probably not. As the Premier League title race becomes ever tighter, Daniel Harris will be on the line to discuss Liverpool's 1-1 draw with West Ham United last night. With Manchester City now able to redeem top-spot with a mid-week win against Everton, have Jurgen Klopp's men thrown it all away? Ole Gunnar Solskjaer's latest Manchester United win, as well as an ever easier looking Champions League tie against Paris St Germain are likely to feature also. Gluttons for punishment, Ger and Eoin will take the events of last Saturday on to this morning's show. Where things had seemed so certain, how now will Ireland react to that England defeat as attention swiftly turns to Scotland and the second weekend of the Six Nations. Darren Cleary will join the lads in studio to take a look at the morning's sports news shortly after 8:30am. 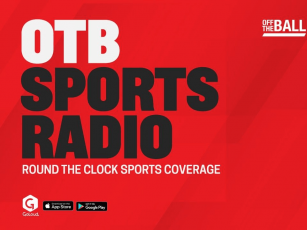 For all that and much more, join #OTBAM this morning via the Off the Ball website, Twitter, Facebook or YouTube.